The boardroom. Home of some of your most important meetings and decisions to be made. The boardroom is where some of your most crucial pieces of business can happen. So a boardroom needs to live, breathe and sleep business, and a big part of this is how you make the room look and feel. So how can you make your boardroom look and feel like it means business? Surely the main thing to focus on is the centrepiece – the boardroom table. You can’t expect to be taken seriously with twelve board members gathered around a slanted flat pack table you tried putting together during one disastrous weekend. Instead, you need a piece of handmade furniture, built by a dedicated team in a specialist workshop, with some of the finest materials. Here at Glasslab, we have a stunning range of glass boardroom tables, with three incredible designs that can really make your boardroom complete. First of all, we have the Helicon boardroom table. The Helicon features a round, oval table top, which is held up three panes of intersecting glass, which act as legs. The Helicon is available in two different sizes, both of which are made with 15mm thick clear toughened glass. On both sizes, the table is 720mm high, with the alternative sizes being 2100mm x 1250mm and 2400mm x 1300mm. The second of our designs is the Oros boardroom table. 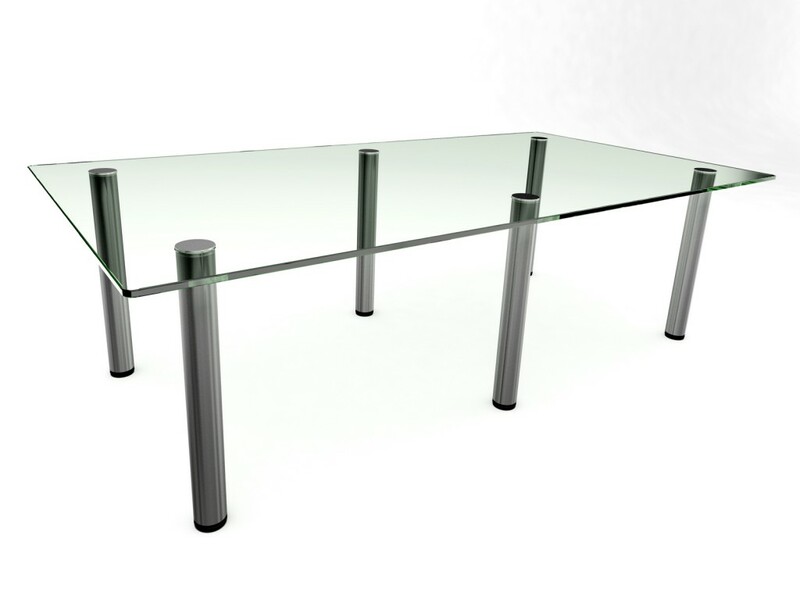 Unlike the Helicon, this isn’t made completely of glass, with the main 15mm glass pane surface being connected with six stylish metal legs. The Oros is 720mm high, and is available in either 2100mm x 1100mm or 2400mm x 1250mm. 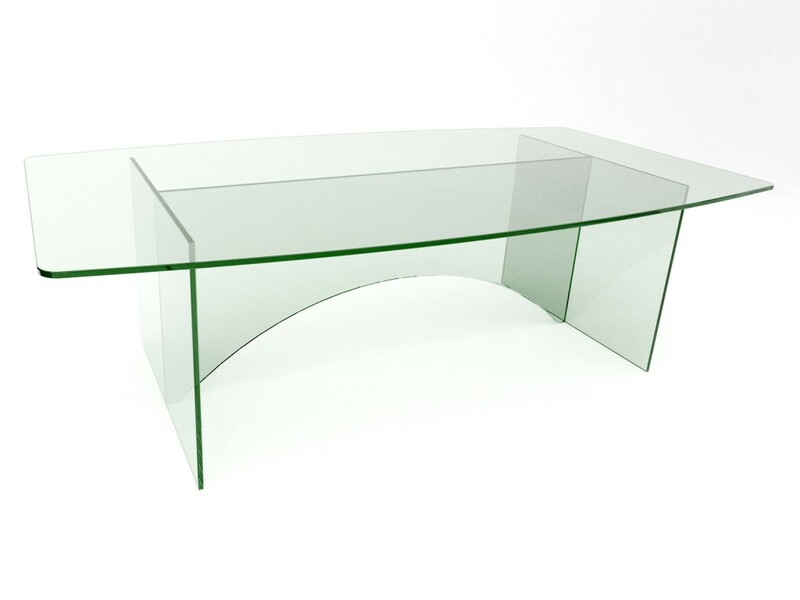 The beautifully designed table is something that will make you feel proud of your boardroom. The third and final table in our boardroom range is the Pateras. The main surface has a very subtle outward curve, and is held up by two panes of glass on both ends, as well as another curved piece joining them both in the middle. The table is 720mm tall, and is available at either 2100mm x 1250mm or 2400mm x 1300mm. All three tables have their own individual aspects that can create the perfect boardroom, but if none of the ideas suit your needs, we can still help. Glasslab offers a personalised bespoke design service, so whether you want some of our furniture built at a size more fitting for your space, or if you want a completely unique piece of furniture to match the style of your company we can help. So if you’re looking for a new boardroom table – whether it’s the Helicon, Oros or Pateras that’s catching your eye, or you have your own look in mind, contact us today to talk about taking your boardroom to the next level. All of our furniture is made with the finest quality of touighened glass by our skilled trained craftsmen, down at our dedicated Rochdale workshop. We believe that a stylish well-designed workplace is an efficient one – some good looking, smooth, eye-catching furniture can give your team a real boost, and can help show potential clients just how serious and classy your business is.